The NDDC is pleased to announce that last week’s Jailhouse Rock Auction at the Grand was a great success. The event, produced by the Creative Professionals Committee of the Chamber of Commerce, generated $8,000 in proceeds, money that will be donated to the Downtown Holiday Decorations Renewal fund. When added to the funds already secured, we now have $14,000 of our $20,000 goal. We’d like to thank the members of the Creative Professionals Committee, especially Ryan Heinritz, Jodi Graff, and Jon Snodgrass, for an excellent event. Special appreciation goes to Senator Kevin Dahle and Ed Kuhlman for running such a productive auction. Finally, the event couldn’t have happened without the impressive roster of “jailbirds” and their generous contributions for which the bidders could compete. The effort to raise funds for the Holiday Decorations is a partnership between the NDDC and Chamber. Co-chairs Pat Vincent from the Chamber and Dan Bergeson from the NDDC and their committee of 12 have been working together for the past year on this project. The Holiday Decorations are an expansion of a on-going NDDC effort to liven up downtown with a year-long schedule of rotating banners. The program started with the Historic Northfield banners and now includes the Defeat of Jesse James Days, the ArtSwirl, the St. Olaf College and, the return of, the Carleton College banners. The Holiday Decorations are a significantly more expensive proposition. They couldn’t be obtained without collaboration. 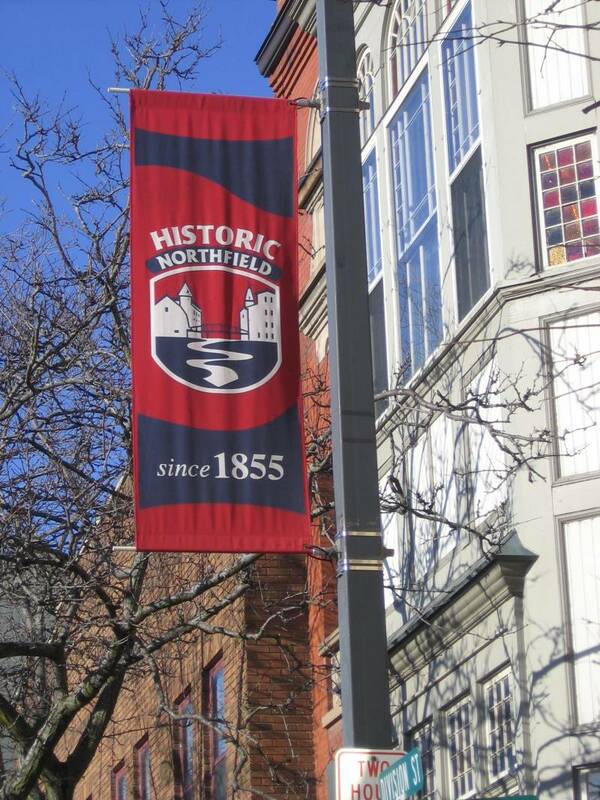 The Northfield Area Foundation recently made a generous contribution to the campaign. Now, thanks to the Chamber’s Creative Professionals’ Committee, we’ve taken another big step toward our goal. It’s just another example of how by working together, we’re achieving great things. We still have $6,000 to raise by the end of May 2009. Contributions in any amount can be sent to: NDDC, P.O. Box 55, Northfield, MN 55057. Please note that the donation should benefit the Holiday Decorations Fund. Wow what Great Event! Kudos to all CPC memebrs for putting on a great show! Huge thank you to jailbirds and all that supported the event! Check out all the fun!